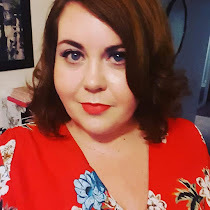 I was recently speaking to Laura from Six Out of Ten when she offered to do a guest post for me about how to be PR friendly. Laura works half in PR, half in marketing, and spends the rest of her free time writing about London and lifestyle in her online magazine. She has a cat, a boy, and loves Revels a little too much (don't we all!). Although I think calling yourself PR Friendly is redundant (as most bloggers are lovely and wouldn't dream of being unfriendly) as well a waste of precious character space on your Twitter bio and blog, being PR friendly is another matter entirely. You see, bloggers have seen a few people add it to their accounts, and everyone has followed suit. It's almost the same as adding clichéd phrases such as 'works well in a team' and 'hard-working' and 'works well under pressure' to your CV. They don't really mean anything until you see them in action. To PRs, just saying you're PR Friendly isn't enough. So what can you do to demonstrate that you can be a PR's best friend? Here are four really easy ways to get PRs on side. As soon as you mention PR Friendly, you're immediately classified as a review blogger. As in, you only care about working with me and my client for what you can get out of it - a new lipstick here or a press trip there. I want to work with bloggers who love my brand and all that it stands for, regardless of whether I might be able to offer a comped meal or sample. I want them to be discerning and strict about who they feature, to not cheapen my client's name by lumping their brand in the middle of fifty others. I'll avoid PR Friendly bloggers as the reputation behind the phrase, unfortunately, isn't a good one. The first think I look at when scoping out bloggers is their about page. I'll usually look at this before their posts. Why? Because this is where I find out about your story. Why you blog. How you started. Who you've worked with. It's amazing how many bloggers have a PR Friendly badge in their sidebar and then literally no contact information available. How can that be considered friendly? How am I mean to get in touch with you? Through an easily-missed public comment on one of your posts that'll head straight into your spam folder? No. Have a contact page set up, or be sure to include this in your about page, as above. If you want to include a number you can, but at the very least a text-based email address I can actually add to my address book. Include a contact form too, but your actual email address is the most valuable part. Nothing puts me off more than a cluttered site where I can't find anything. If you're not the best at HTML or CSS then hire a designer to install a clean, easy-to-use template. And make sure it's responsive and mobile-friendly. In case you don't know, Google will be penalising non-mobile-friendly sites from now on. There's no point spending time on SEO if there's no chance 40-50% of your mobile readers won't see it. If your site is easy to use it means your readers will be able to find my client too. By following these really simple steps, you'll ensure you go from saying you're PR friendly, to being PR friendly. And I'll love you just a little bit too.